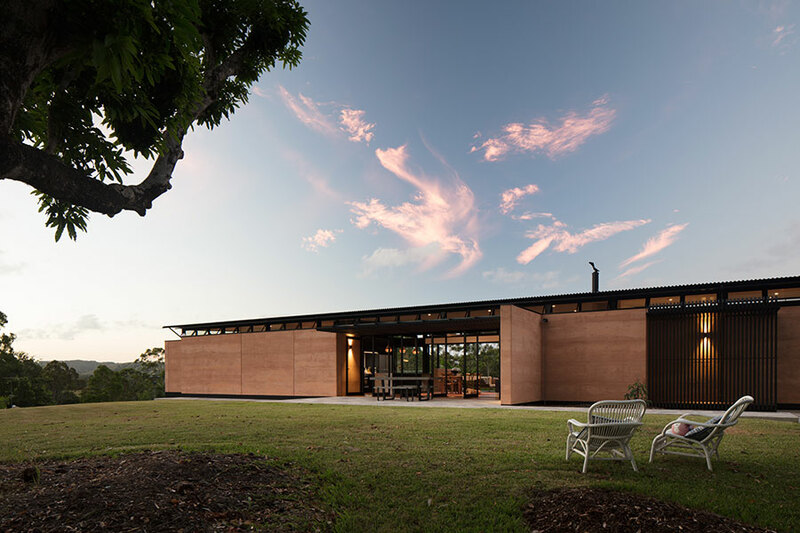 Named after the grand old Queensland house that once occupied the site, Avonlea commands attention on an elevated hillside site in Eumundi, in Queensland's Sunshine Coast Hinterland. 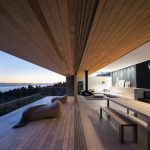 Designed by Robinson Architects for their clients, a young family, the new home respectfully replaces its namesake, which sadly burned down nine years ago. The old Queenslander house’s demise had left a vacant block of land, right in the centre of the old market town, which was unique – given its vast size (five acres), the site was sold with DA approval for a six-lot subdivision. 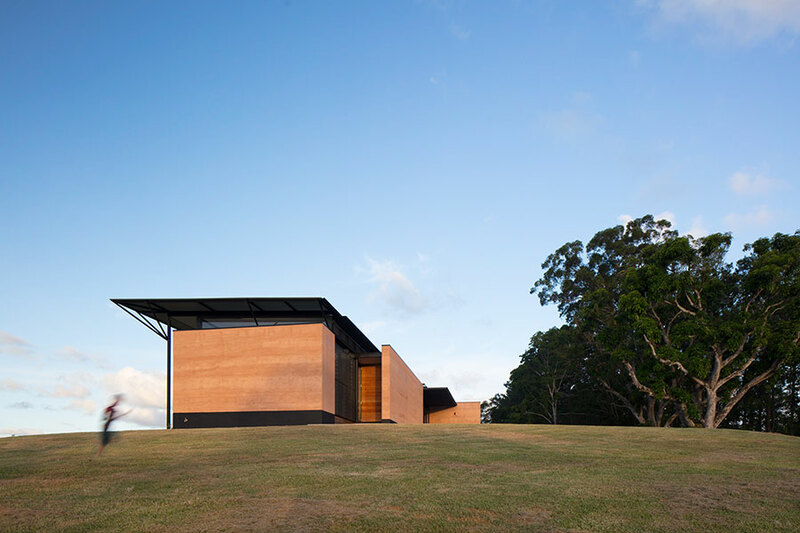 The new owners approached Principle Architect, Jolyon Robinson, to design their dream home. 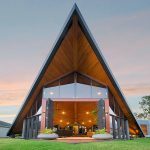 Jolyon had a keen interest in the future of the site, not only for its impact on the town (his practice is located in Eumundi) but also as the old house had once been the family home when he and his brothers were boys. 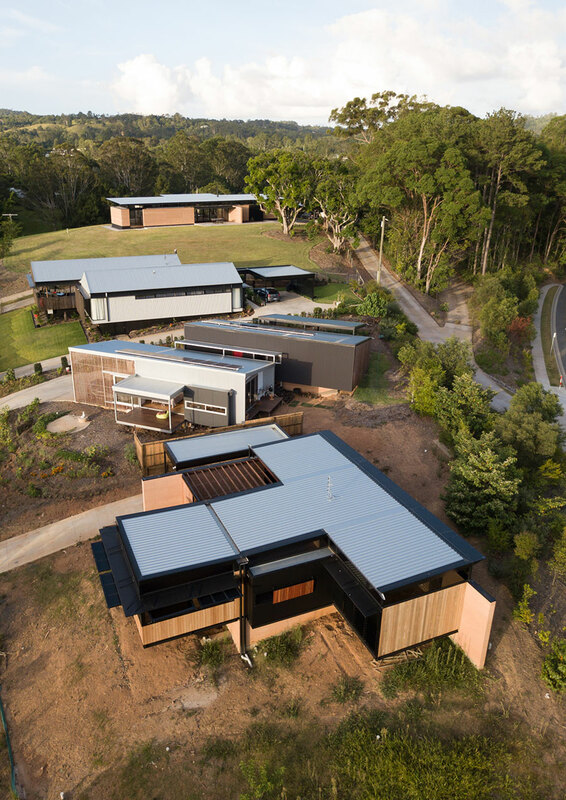 Careful and considerable thought was given to how the subdivision would be handled by architect and client, given its impact on the town. It was decided to sell off half of the six lots, build on one and retain the other remaining two to create a substantial garden. 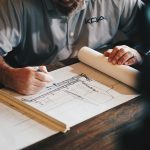 “We saw this as a one-off opportunity to get some quality buildings in such a prominent location in town,” says Jolyon of the incredible build and design process. The blocks were sold privately to independent buyers coming directly through Robinson Architects office. The only condition was that the architecture studio would design the buildings to come. 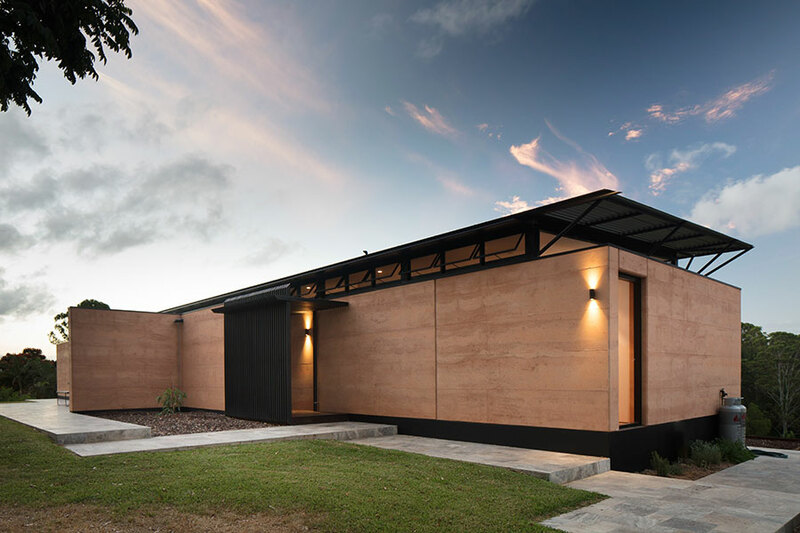 The future Avonlea was imagined by both client and architect to be a continuation of the long history of people living in a house on the site, with a contemporary design that would stand the test of time both architecturally and quality of workmanship. 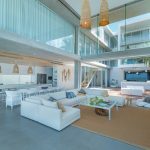 Simplicity resonates through the design – in its connection to the environment, its material selection, and in the home’s inspired spatial planning. 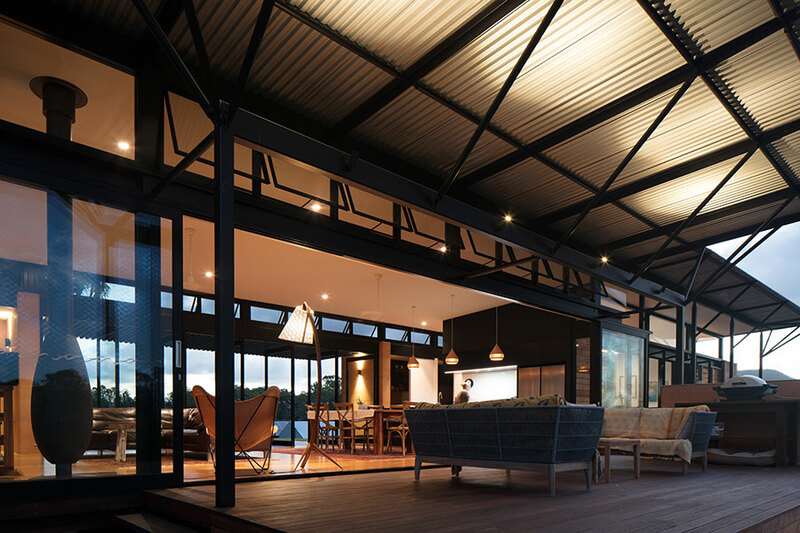 A long linear floor plan, orientated at right angles to the top of Cooroy Mountain to the north, means that all rooms enjoy views to the ever-changing mountain vista and cooling cross ventilating breezes. Bedrooms bookend the central living space, connected by a single hallway, while careful planning has avoided wasted space with storage cupboards, pantry, etc. feeding off this axis. The layout provides opportunities for closeness or separation in the arrangement of bedrooms to accommodate the family dynamic. 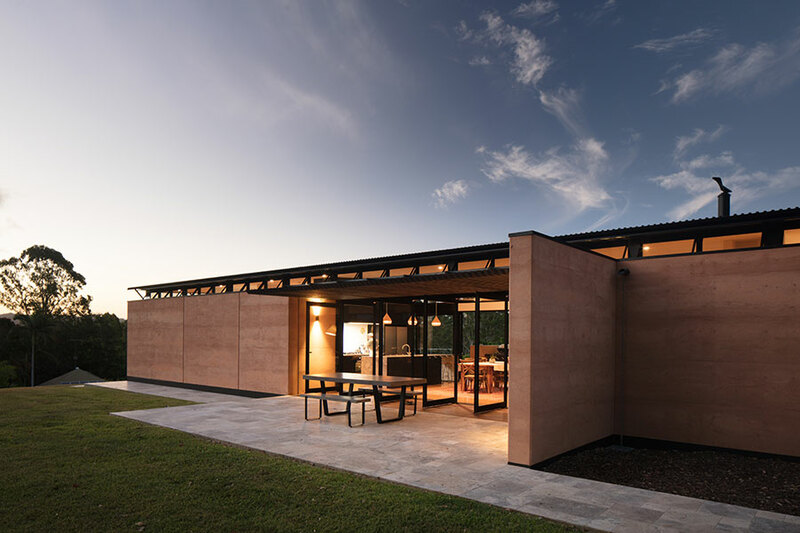 It’s a home that is designed to grow and evolve as required. 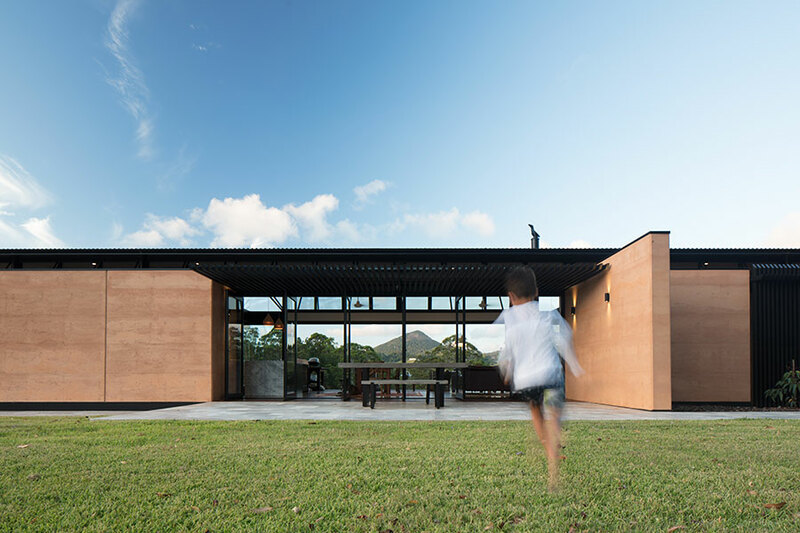 The Eumundi district’s distinctive red earth has been showcased, with stunning effect by Robinson Architects – the rammed earth walls on the southern side of the home also act as a buffer to the noise of the nearby primary school and market traffic. 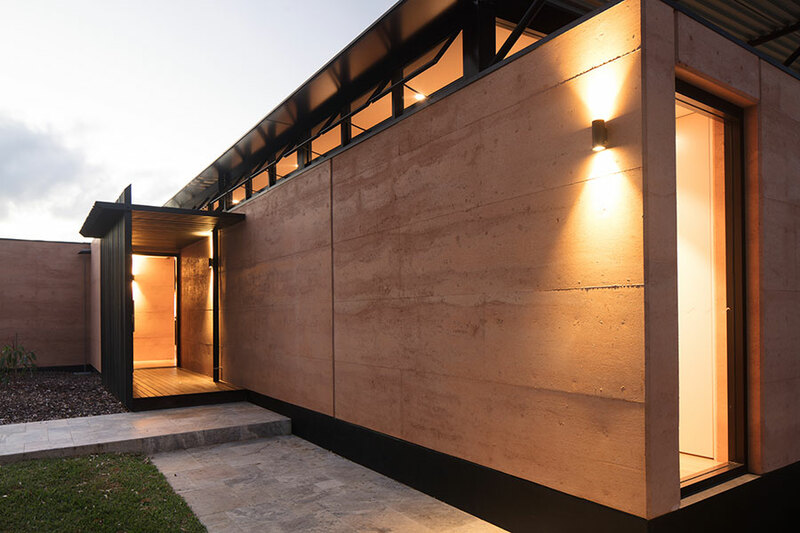 A razor-thin steel roof with large eaves shades the building and offers a contrast to the natural elements of the rammed earth. 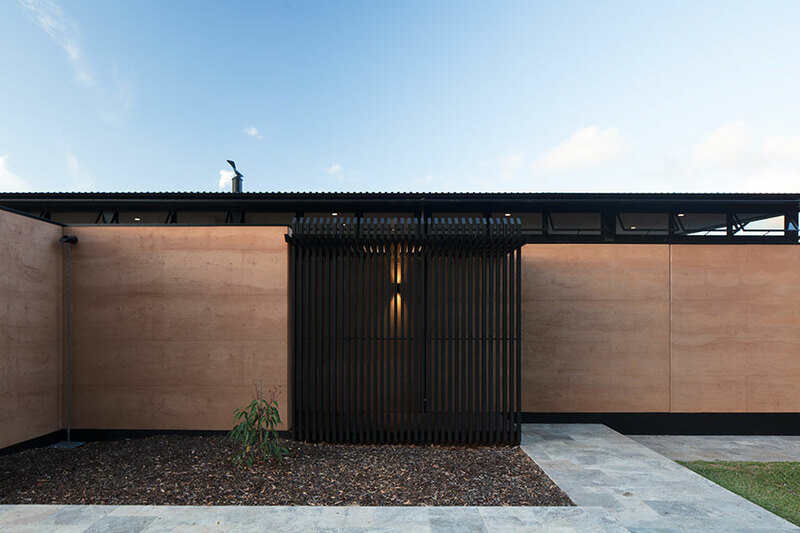 This stunning home by Robinson Architects has just won state commendation in the new houses category at the Australian Institute of Architects Awards.